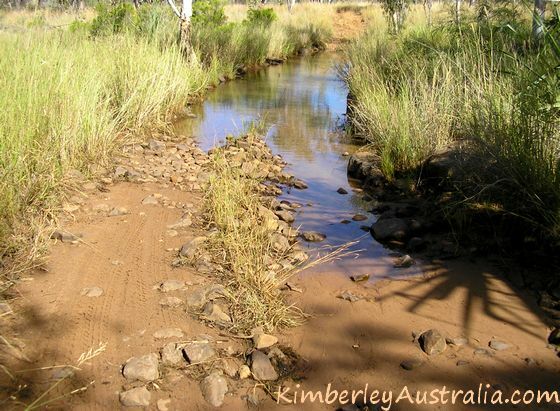 Many myths revolve around the Gibb River Road in the Kimberley. Some are true, some aren't. 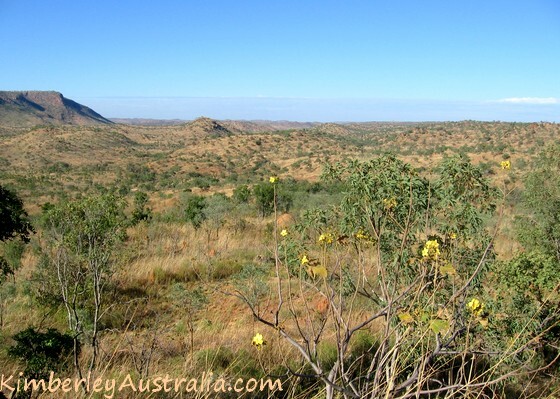 True is that the corrugations are sometimes deep enough to lie in. 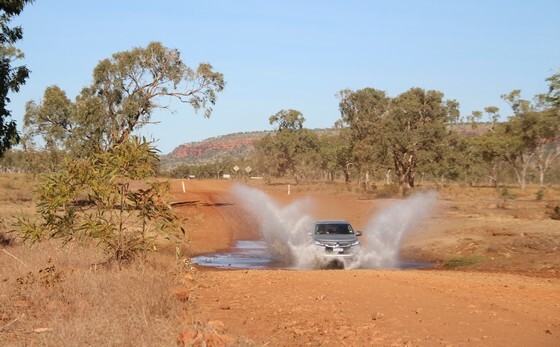 Not true is that you are on your own out here, that the drive is challenging, that you need to be an experienced four wheel driver, yada, yada, yada. 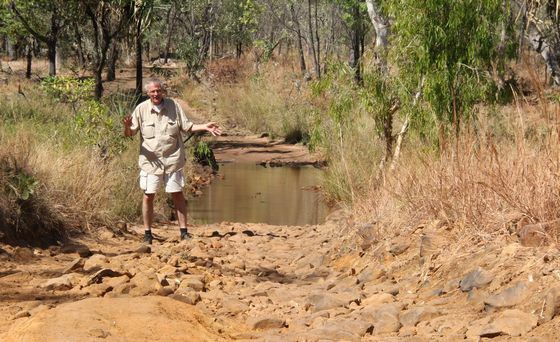 The exception is the very beginning of the tourist season, when the road re-opens after the wet season closure. 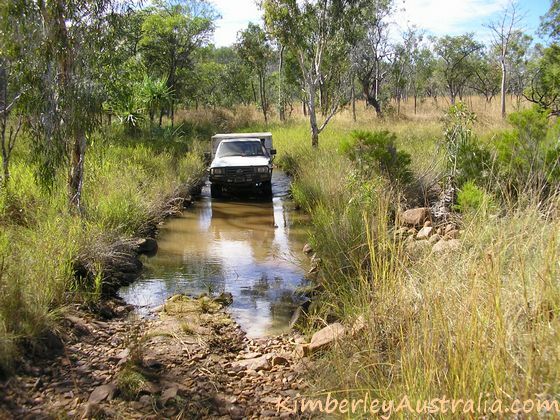 Before the graders have done their bit, when the rivers and creeks still run deep and fast, then it can indeed be a real adventure. 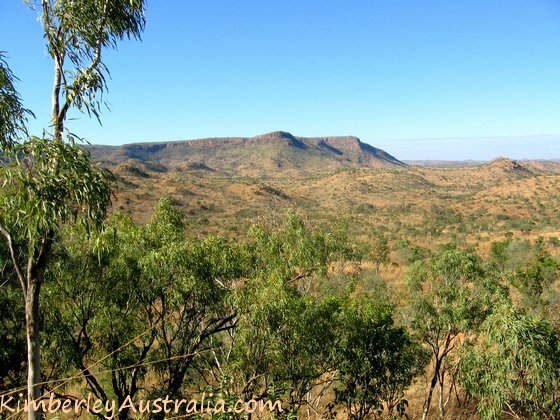 However, also not true is that you will experience the solitude of an untouched wilderness. Those days are over. 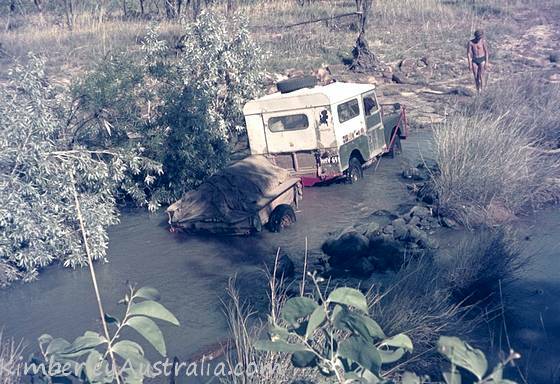 The Gibb River Road in 1968. © Photo by reader Gary. 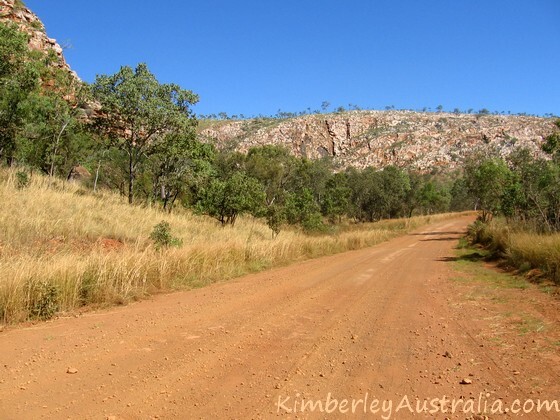 The above picture shows the usually very well maintained western part of the road, not too far from Derby. 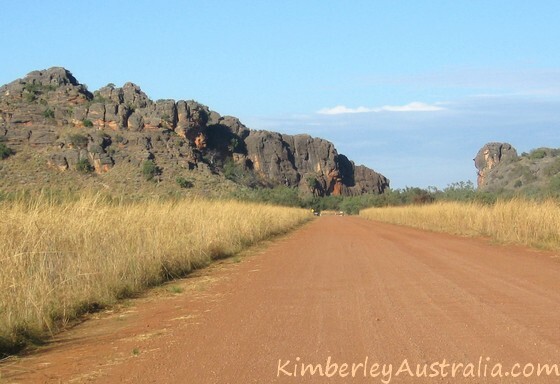 To the right of the road you may notice a rock feature called "Victoria's Head". 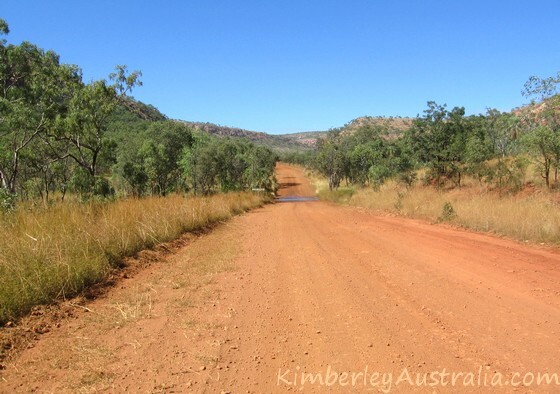 This again is a very typical view of the Gibb River Road. 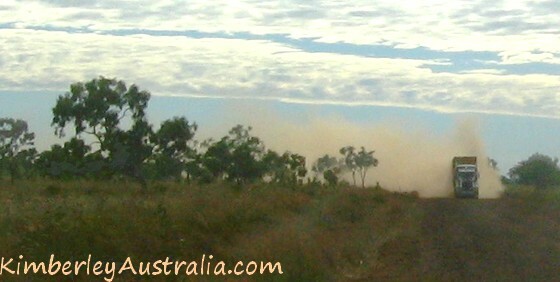 Most of the road consists of red dirt and gravel. Parts of it can get badly corrugated. This stretch was reasonable. 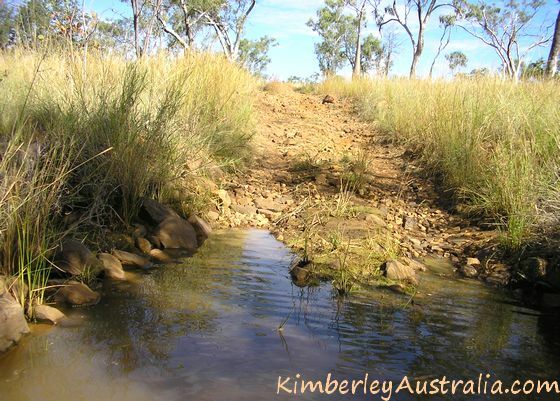 There is still a puddle left from one of the creeks, but it is very early in the season. 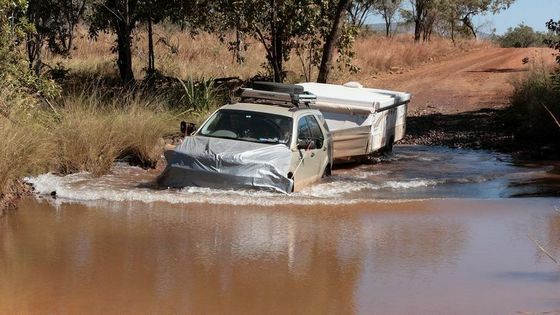 Most people will not see much water at all on their trip. The scenery is varied. 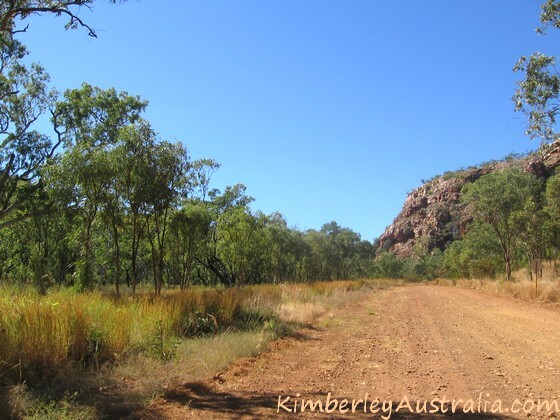 There are some open flat stretches, but a lot of the time the road winds its way through and climbs over the many ranges that characterise the Kimberley Plateau. Wherever those hills are steeper the road has been sealed to avoid the bad washouts that adventurers had to deal with in the old days. 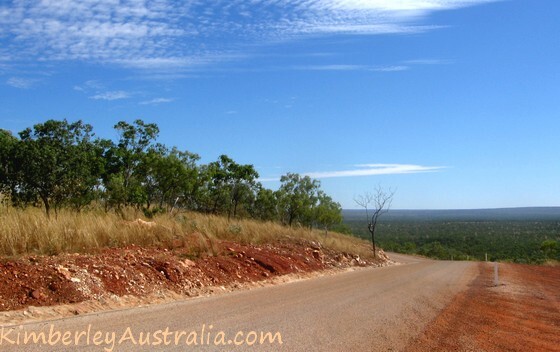 Here is a particularly scenic stretch of road, you can see parts of the sealed road on the right. 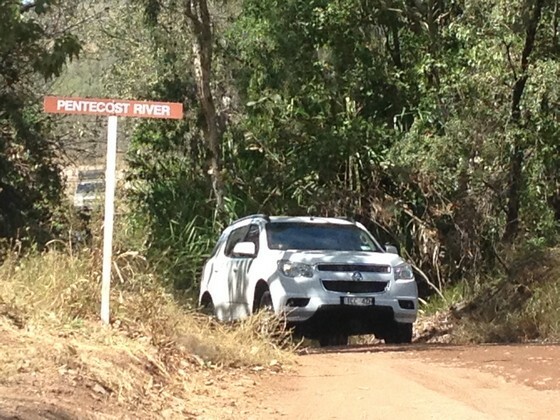 Now for all those people who always email me to ask, "Do I really need a 4WD to do the Gibb River Road?" Well, if all you want to do is "do" the Gibb , so you can say you have "done" it, and if what you mean by that is drive across from one end to the other, then no, at the right time of the year you can probably do that in any car. But what's the point? All the attractions along the Gibb are found on side tracks. Not only are those tracks much narrower. 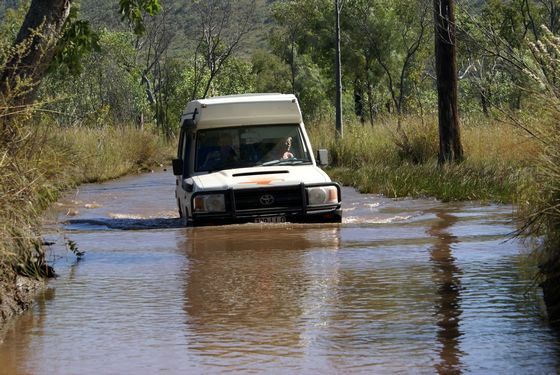 Early in the season there may be water on the road in many places. 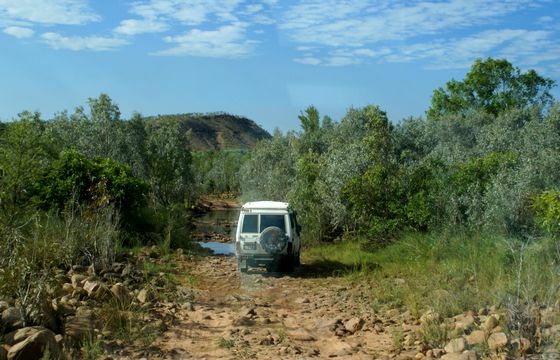 And the tracks can be a lot rockier than the main road. 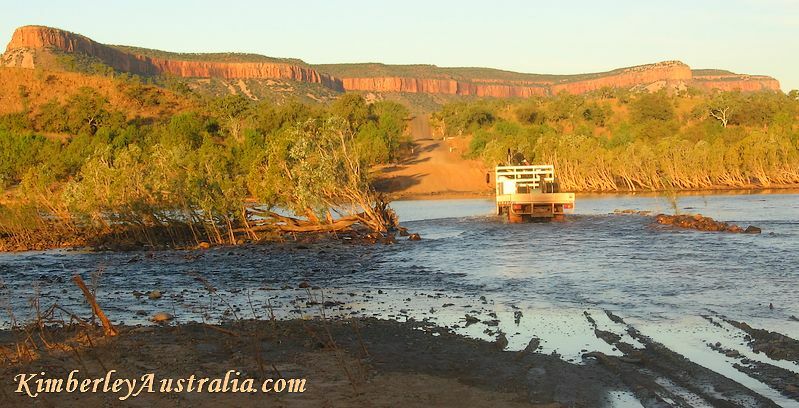 The Pentecost River Crossing and the Cockburn Ranges at sunset. 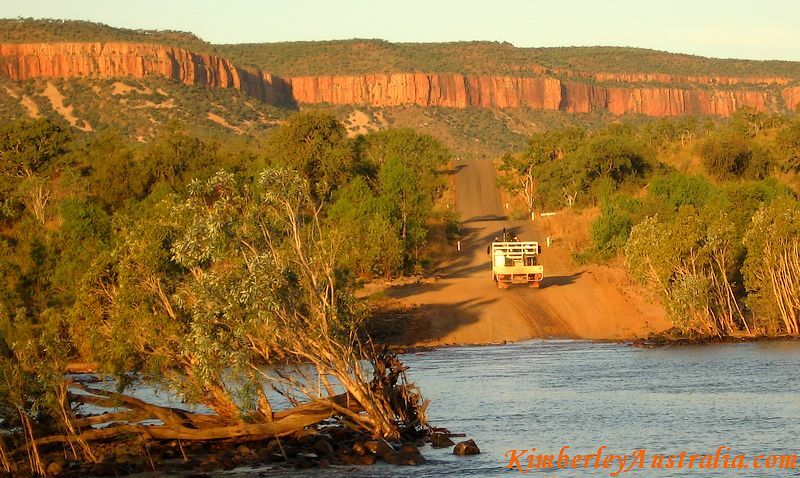 The Pentecost River is one of the few big rivers that you have to cross on your trip and at the very beginning of the season that can be a bit of a challenge. As a side note: In all the above photos you can again see that the road is sealed where it gets steeper in the back. All the above photos were taken while standing on the western side of the crossing, looking east. Does not look too difficult, does it? And it isn't. 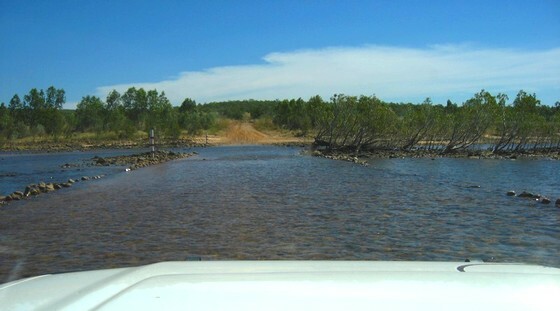 The Pentecost crossing is only a problem very early in the season when it is first opened. 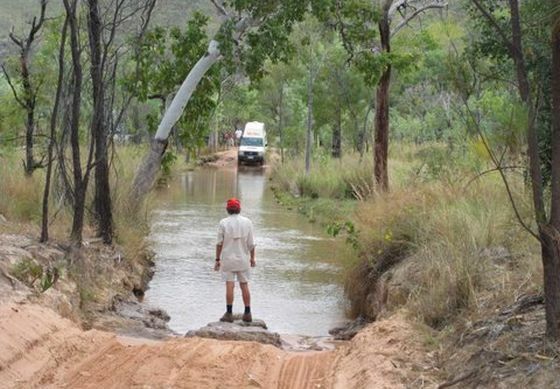 Then the water may still be well over 500 mm deep. But give it two weeks and all will be well. 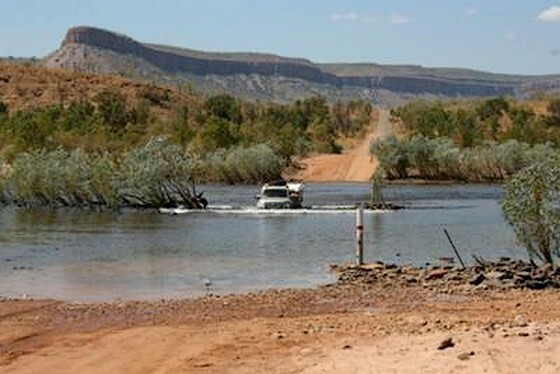 Just like the main crossing, this one can be quite the adventure just after the wet season! 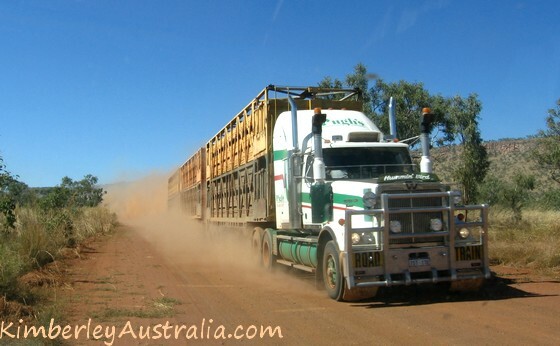 The Gibb River Road is an important beef road and you will come across many cattle trucks. 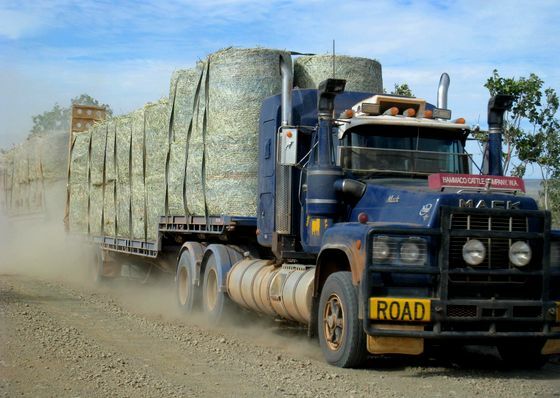 All road trains drive fast and it's not easy for them to slow down, so please don't do stupid things like pull out in front of them or similar. Meeting them like this is not too bad. 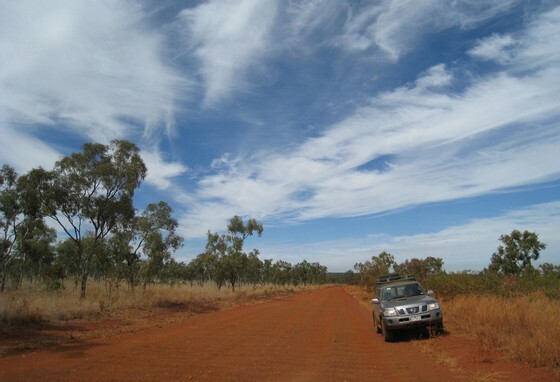 You just pull off the road, stop, and wait till the dust settles. But it's not much fun being stuck behind one and you can imagine your chances of seeing the road ahead. Overtaking them is usually not an option. It's best to have a break instead. 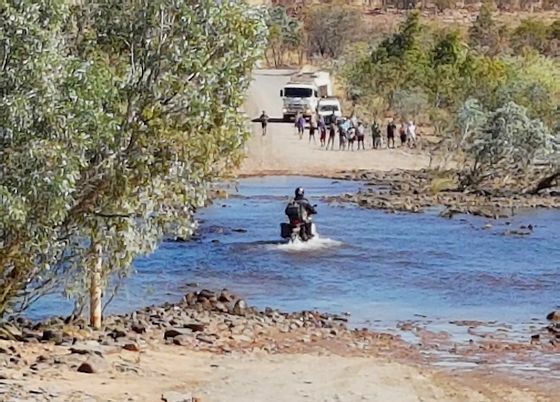 Getting fuel and supplies on the Gibb River Road is not a problem any more. 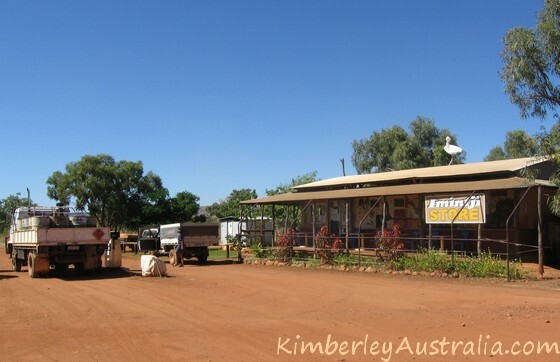 These days there are three roadhouses along the main road. From west to east those are Imintji (about 230 km in), Mt. 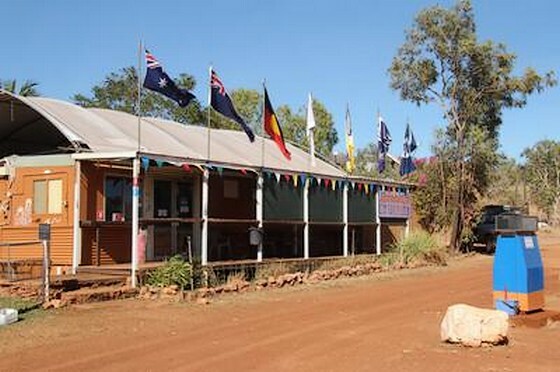 Barnett (305 km) and Gibb River (370 km). 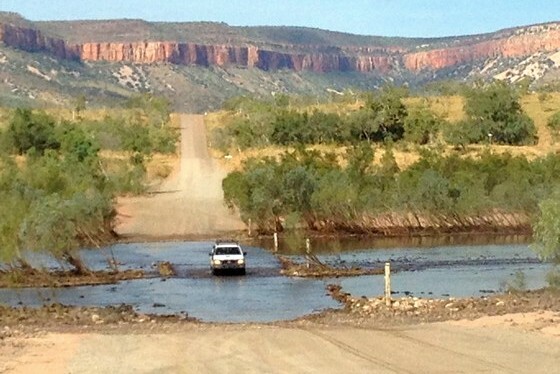 And this is all I can think of when it comes to showing you the Gibb River Road. 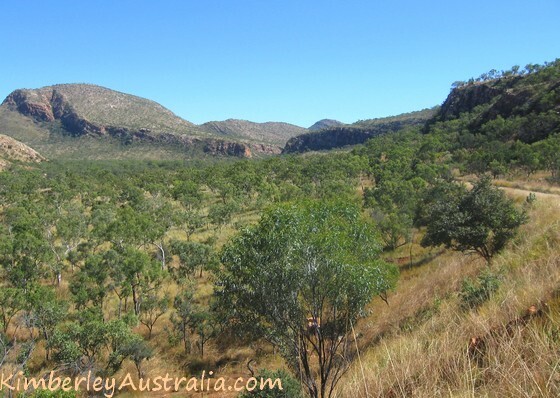 To see many more photos of many more gorges, waterfalls and stations along the Gibb see the page about Kimberley gorges, about the stations along the Gibb, or simply start at the main Gibb River Road page. 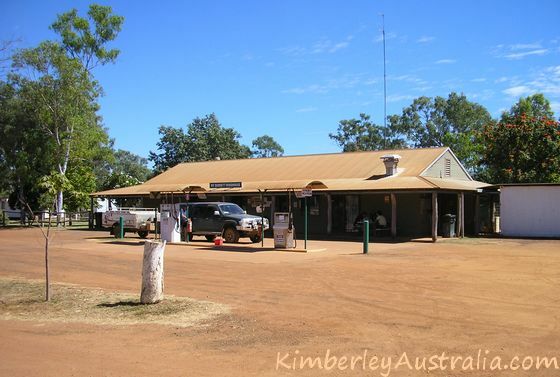 Read more about the Gibb River Road.